Lincoln Electric 2% Lanthanated tungsten electrodes, 1/16 inch diameter by 7 inch length each. 10 electrodes per pack. A great welding consumable for TIG welding processes. 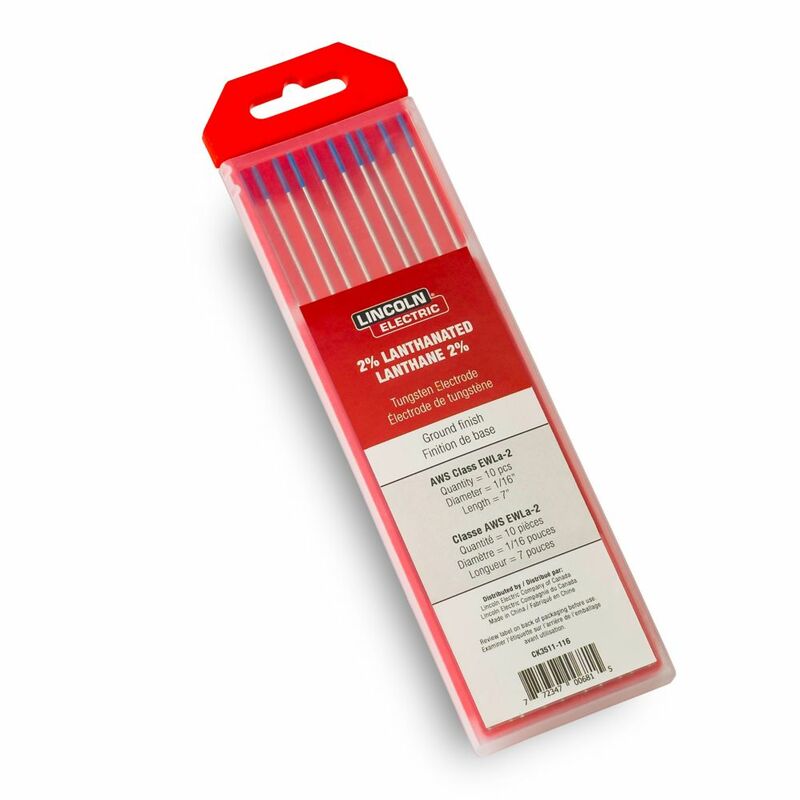 Lincoln Electric WX multi-oxide tungsten electrodes, 1/8 inch diamter by 7 inch length each. 10 electrodes per pack. A great welding consumable for TIG welding processes. Lincoln Electric 2% Ceriated tungsten electrodes, 3/32 inch diameter by 7 inch length each. 10 electrodes per pack. A great welding consumable for TIG welding processes. 2% 1/16 inch Lanthanated Tungsten Lincoln Electric 2% Lanthanated tungsten electrodes, 1/16 inch diameter by 7 inch length each. 10 electrodes per pack. A great welding consumable for TIG welding processes.